The body is very important to implement in Psychosynthesis Psychotherapy that is why Roberto Assagioli originally called his psychology for Bio-Psychosynthesis. This is a good introduction to Psychosynthesis. There is no need for me to enlarge upon the principles and applications of psychosomatic medicine before such an assembly of highly qualified therapists as I have the honour to be addressing on this occasion. On the contrary, I shall be in the happy position of learning a great deal from your contributions to the meetings during this “Psychosomatic Week.” This permits me, therefore, to devote the short time I have at my disposal to an outline-of necessity brief and I would say “synthetic” — of the contributions Bio-psychosynthesis is making, and can make in the future, to psychosomatic medicine. 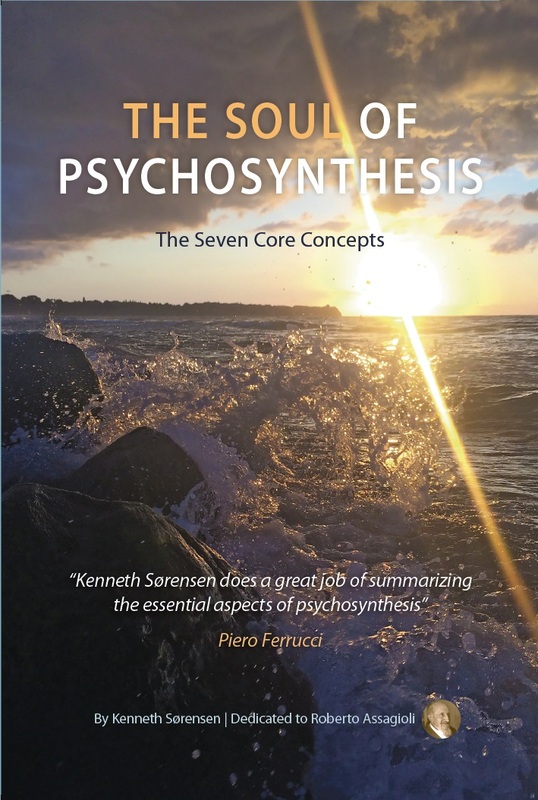 The word “psychosynthesis” has been employed by various writers, but they have not appropriated it as a unitary conception or applied it as a specific therapeutic method. I must limit myself, anyhow, to describing the use of it which constitutes my personal contribution. 1. The elimination of the conflicts and obstacles, conscious and unconscious, that block this development. 2. The use of active techniques to stimulate the psychic functions still weak and immature. The actual nature and mechanism of the psycho-physical interaction have been and are, as you well know, the subject of lively discussion. Contrasting conceptions and theories have been advanced, but psychosynthesis, with its essentially pragmatic orientation, takes no stand in regard to them. It takes for granted the reality of this interaction (which constitutes the foundation of all psychosomatic medicine) and utilizes its ways of functioning for therapeutic purposes. To make extensive use of an energy, it is not necessary in practice to have a profound understanding of its nature, of what it is in reality. Just as a knowledge of what gravity is is not indispensable for the construction of aeroplanes, and what electricity is for its application in innumerable ways, so the use of our body does not demand a knowledge of the nature of the relationship that exists between it and the psyche. We do not need to know how the will, an idea or a mental picture can induce movements of the muscles. If I will to raise an arm, the arm raises itself without my knowing how. Boxers, acrobats and pianists develop astonishingly proficient psycho-neuro-muscular coordination, a true psycho-physical synthesis, without needing even the most elementary knowledge of anatomy, about, for instance, the seat of the cerebral motor cells and the intersection of the nerve fibres whose function is to stimulate muscular contractions. Among the most important specific contributions of psychosynthesis which differentiate it from various other conceptions of the human psyche and from many other psychotherapeutic methods (while it in no way opposes them), are the recognition of the higher functions of the psyche and the demonstration of their importance in the pathogenesis of many nervous and psychosomatic disturbances. 1. The lower encompasses, first of all, the psychic activities, elementary but most skilful, that govern the organic life. A number of biologists are now talking of a bio-psyche and regarding life and intelligence as inseparable. This zone also is the seat, or origin, of the instincts, or fundamental drives, such as sexuality, self-preservation and aggressiveness. Within it, as well, are found the complexes having a strong emotional charge that are produced by traumas and psychic conflicts. 2. The middle zone is the abode of the psychic elements and activities similar to those of waking consciousness and easily accessible to it. It is the pre-conscious, and in it occur the elaboration of experience and the preparation of future activities. 3. The highest area represents the higher unconscious, or superconscious. It is the seat of, and from it come, intuitions and inspirations of a lofty, religious, artistic, philosophic or scientific nature, the creations of genius, ethical imperatives and the promptings to altruistic action. The star at the summit of the superconscious represents what modern psychology—and pre-eminently Jung—designates as the “Self,” of which the ego, the centre of self-consciousness, is a reflection. Outside the oval exists the boundless psychic world of the collective unconscious. All the lines are dotted to indicate that a continuous exchange of elements and energie—a “psychic osmosis,” one might say—is taking place between any and all these psychic areas. Some clarification is desirable about the higher unconscious. By and large, its existence has not been the object of investigation by modern psychology. Many investigators, indeed, believe it cannot be studied in accordance with scientific procedure. But this view derives from a limited or erroneous conception of such procedure, which confines it to the use of the techniques proper to the physical sciences. Yet in reality, the scientific method, which can be said to have originated in Francis Bacon´s Novum Organum, consists principally in the elimination of errors of judgment and language. These he called “idols,” and they have been unmasked even more adroitly by modern semantics. Essentially, it is a matter of reasoning soundly. Thus everything qualifies as a legitimate object of scientific concern; there exists no reason why sexuality should be scientific and love not. This conception has received recognition recently from a number of avant-garde psychologists who have adopted the humanistic, existential and anthropological position, such as Sorokin, Maslow , Frankl and others. But pychosomatic medicine has not ignored these higher aspects of reality and the psychic life. Indeed, some of its most eminent exponents have insistently called attention to them. Here I may make special mention of the Director of the Medical Clinic of Hamburg University, Prof. Jores, whom we have the honour to have with us. In his excellent book, Der Mensch und seine Krankheit (Stuttgart: Klein, 1956), he shows how many disturbances are rooted in the frustration of a deep need of cultivating the productivity and development of the personality. This need is no mere assertion of the personality in front of others. It is the urge—often unrecognised or repressed—to develop latent possibilities, to grow. In the same way that the normal biological organism experiences an insuppressible tendency towards growth, there is a growth tendency in the human being which lasts throughout life, or at least much longer than the period of biological growth. When this growth remains unrecognised or is repressed, or frustrated by environmental obstacles, psychosomatic disturbances are produced. Another specific contribution made by psychosynthesis is its reaffirmation of the importance and value of the will, drawing attention to its special position as being different from that of the other psychic functions. One might say that the will is the Cinderella of modem psychology. Since William James it has been almost entirely neglected, not only by academic psychologists, but also by the leading exponents of dynamic psychology. I cannot pause on this occasion to discuss the reasons for this strange neglect. I shall merely mention that the principal one may be attributed to the decidedly materialistic and objectivistic orientation that, up to a short time ago, had prevailed in psychology. In this connection, I would suggest the following modification of the well-known saying about the sad fate of psychology: “Psychology first lost its soul, then its will, then its consciousness, and has nothing left but its behaviour.” But it has been recovering from this collapse for some time now; it is reacquiring its consciousness or rather self-consciousness, through recognition of the ego; and now it must find its will again. The recognition and use of the will has great importance in psychosomatic medicine, and the execution of many of the psychological and psycho-physical techniques demands the voluntary and active collaboration of the patient. But this does not imply the use of the will only, but requires a fundamental will to be cured. Where the will is deficient, obstructed or overwhelmed by what has been called the counter-will (Gegenwille), the death instinct (Freud), the tendency to self-destruction (Menninger), it is important for the doctor to be well aware of the situation, and he must try to arouse or reinforce the will to be cured. Lacking this, every therapeutic endeavour remains ineffective. Turning now to the specific field of therapy, it is natural that the position assumed by psychosynthesis is a “synthetic” one. It thus appreciates and weighs the merits of all therapies, all methods and techniques of treatment, without preconceived preferences. It avails itself of all of them and selects, combines and alternates in different ways those that each given existential, clinical situation and the symptomatological complex indicate. Not only are these combinations different, indeed unique, in the case of each patient, but they vary continually during the course of the illness and its treatment. In conformity with its recognition of the existence and importance of the superconscious, psychosynthesis gives special consideration to the existential reality of the patient and his conception of life. Here an objection may arise: “But surely this is in the realm of philosophic concepts. How can they possibly produce psychosomatic disturbances?” Well, in the first place, we must realise that everyone, every human being, from the simplest to the most cultivated, has of necessity his personal conception of life, however rudimentary, even without being clearly aware of it. It is easy to demonstrate this from the observation that all “judge”; indeed, the more ignorant judge more often and more willingly than others. But to “judge” implies to “evaluate”; that is, one judges on the basis of a system or scale of values; and these values imply a conception of the world, of life and of humanity. Not only judgements but also actions depend upon evaluations and therefore upon such a conception. Like M. Jourdain in Moliere’s comedy, who wrote prose without knowing it, every human being has a “philosophy” of his own, more or less simple and primitive, without calling it such, sometimes without even knowing what philosophy is! On the other hand, this philosophy, this conception of the world, is often not only rudimentary but also contradictory, as one might expect from the psychic multiformity existing in each one of us. Its character changes according to the moment, the individual state of mind, or the sub-personality “on stage” in the theatre of consciousness. André Maurois, who, although not a psychologist by profession, exhibits in his books acute psychological intuition , has gone so far as to say that the normal man changes his philosophy ten times a day. Due account must be taken of the conception of life maintained by each human being, particularly when he is ill. It is important to know what significance he gives to life, or if he believes that Life has a meaning. The psychic condition of the person who believes that Life has a meaning, and therefore a value, is very different from, and more favourable than, that of the individual who doubts or denies it. Frankl has proved this in his book From Death Camp to Existentialism (republished under the title Man’s Search for Meaning), in which he describes the experiences of himself and his companions during the months passed in a concentration camp. He observed that those who, like him, were able and wanted to attribute a positive significance to life survived, while the others did not. The psychosomatic effects of the conception of the world and life—in other words, of the existential position, or attitude, in face of life—are easily explained. This attitude is not merely a mental conviction, but arouses emotions and feelings, often intense, and sometimes even violent, such as despair. And these, like emotions and feelings of any other origin, produce physical reactions, that is to say, are the cause of psychosomatic disturbances. I would like, however, to make it clear that psychosynthesis, as a scientific conception and bio-psychotherapeutic procedure, does not take up any specific metaphysical, much less a religious, position. It gives the highest value to these activities of the human spirit, but does not in any way attempt to invade their territory. It goes as far as the threshold of the mystery and halts there. Therefore all may give it their assent and make use of it, whatever their beliefs or metaphysical positions. Coming now to the subject of the psychotherapeutic techniques, I may recall Freud’s clear expression of the difference between psychoanalysis and suggestion. The former, he asserts, is designed to remove obstacles existing in the unconscious, the latter, to introduce new psychic elements and contents into the psyche of the patient. 1. Awaken latent energies, particularly in the higher unconscious. 2. Develop the constitutionally weak functions and those arrested at an infantile stage. 3. Transmute the overabundant bio-psychic energies and those that cannot be discharged or expressed in direct ways. 4. Discipline and regulate (without repressing or removing) the manifestion of all psychic energies of every level, promoting their constructive and efficient utilisation and creative expression. 5. 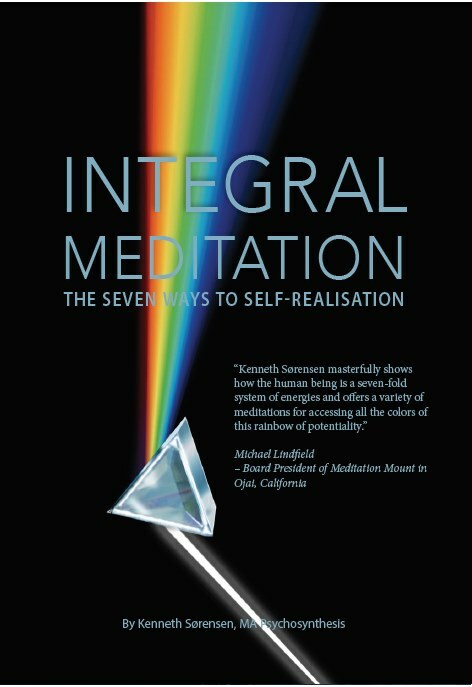 Harmonise the various functions and energies, thereby constructing an integrated human personality. 6. Promote the introduction of the individual into society by means of harmonious interpersonal and group relations. This occasion does not permit me even to list the many techniques employed in psychosynthetic therapy to accomplish these tasks. There are more than forty of them. A number have been presented, and their indications and contra-indications discussed, in my book, Psychosynthesis A Manual of Principles and Techniques. I will only mention a point of particular interest to psychosomatic medicine—the inclusion of the body in psychotherapy, or rather the integration of strictly psychological methods with the use of physio-therapeutic and physio-psychic techniques. It may be said that two opposing attitudes exist regarding the body. Many individuals identify themselves completely with it and live largely a life of sensations of various kinds, giving to the pleasures and sufferings of the body such an exaggerated importance that they become enslaved by it. Their materialistic conception results in a tendency to attribute physical causes to all their disturbances, without recognition of the psychogenesis, partial or total, of many of them. And this still applies to many doctors! There are, on the other hand, two categories of individuals in whom the contrary occurs. The first is composed of those who live almost entirely in a world of emotions, feelings and imagination; the second includes many studious and cultured people—the “intellectuals.” Neither of these groups is interested in the body; they may neglect it, indeed they often regard it as a limitation, a burden. But this lack of attention and appreciation, this deficiency of “body consciousness” and indifference to proper physical activity leads to debility of the body and the emergence of functional disturbances of various kinds. Then there are all the activities tending to develop psycho-neuromuscular coordination: gymnastics; harmonious rhythmic movements and classical dances (not the modern ones); different kinds of sport, such as golf, tennis, baseball and, with certain reservations, football. All these techniques are employed in bio-psychosynthetic therapy, being selected in accordance with the special requirements of the overall treatment programme. Now I must draw attention to a last important point. Psychosynthetic therapy does not restrict itself solely to the use of techniques, however numerous they may be. It fully recognises the therapeutic importance (but the iatrogenic dangers as well) of the doctor-patient relationship. The influence of the personality of the doctor in all its aspects is complex and difficult to define. A considerable number of doctors have drawn attention to it: let me single out Maeder, Tochtermann, and Tournier among many. Recently the subject has received a penetrating treatment from Dr. Balint, who is shortly to talk to us about it from his great competence in the subject. In this case, also, an effective exercise of this influence does not depend upon a profound understanding of its nature. In the few moments I have left I can only mention two other important fields in which psychosynthesis can make substantial contributions. The first is that of the therapeutic group. Its real usefulness, but also the by no means small difficulties associated with it, have been demonstrated by an interesting experiment carried out at the Tavistock Clinic in London. In his valuable book, The Doctor, His Patient and the Illness (London: Pitman Medical Publications Co., 1957.) Dr. Balint has given a comprehensive account of it. The second field, group therapy in its various forms, is now in the process of being widely developed and expanded to the extent of becoming what is called socio-therapy. 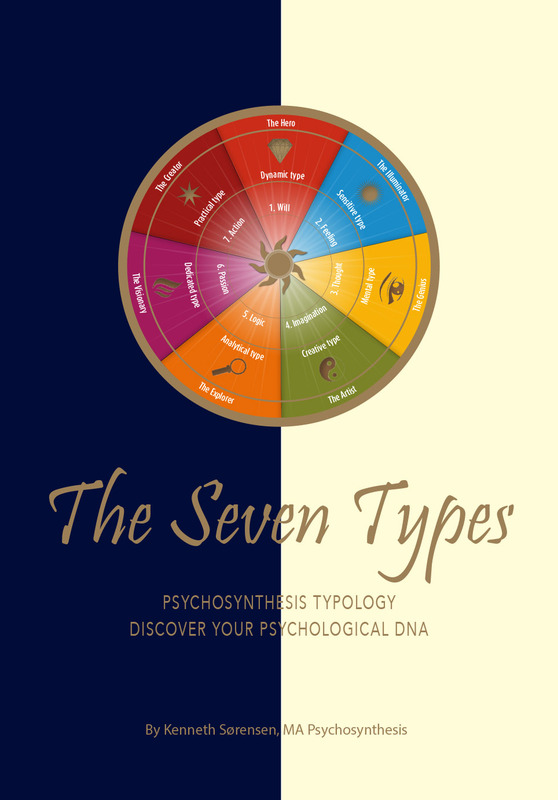 Psychosynthesis, through its developments in the interindividual and social spheres, has included and evolved a variety of techniques, both for the elimination of conflicts between individuals and groups, and between groups and groups, and for their replacement by harmonious and constructive relations. The total aim is to promote and achieve the development and integration of all aspects of human life into increasingly expanding and inclusive wholes. 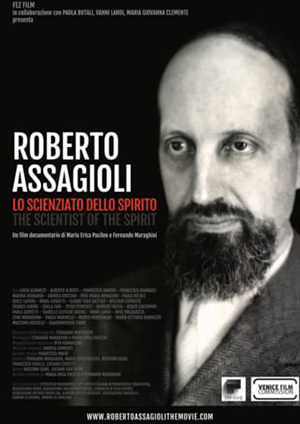 This is the spirit that animates bio-psychosynthesis and is its ideal objective.